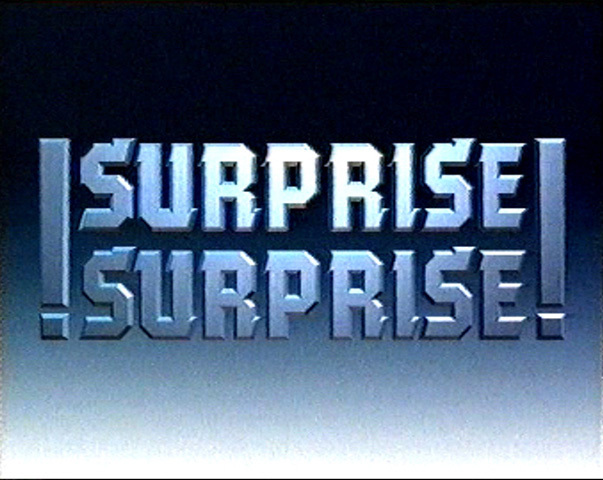 ISRAEL AND AMERICA ARE JUST FULL OF SURPRISES TODAY …. White House says approval of Palestine as member of the UN cultural body undermines goal of a comprehensive Mideast peace plan; Germany also says move hinders peace. After UN cultural agency grants Palestinians full membership earlier Monday, Foreign Ministry issues statement that Israel rejects the decision. Israel wants him to kiss the paramount right of return for the refugees goodbye, wants him to forget East Jerusalem, and wants him to formally accept perpetual Israeli control over Palestinian borders, water resources as well as the settlements established by Israel on occupied Arab land since 1967. It seems that the tight Jewish stranglehold on the American government is not only preventing the Obama administration from pursuing a fair, rational and honest approach to the enduring Palestinian crisis, but is also inhibiting the formulation in Washington of an accurate and objective understanding of basic facts in and about the Middle East. “The Palestinians are no more immune to currents of change and demand for democratization, reform and freedom than any other people in the region,” he was quoted as saying. Hale’s words exude a lot of ignorance and misunderstanding of the facts and realities in the region. First of all, the Palestinian people have been languishing under a sinister Israeli military occupation for 44 years, and no amount of “democratization” in occupied Palestine will change this fundamental fact. The Palestinian people therefore need, first and foremost, freedom from the Nazi-like occupation before they can exercise democracy. Perhaps people like Hale can’t bring themselves to uttering the word occupation for fear of upsetting the Jewish lobby in Washington . He presumably could lose his job if he did, especially in a sensitive election year. Hence, the conceived phobic reaction. Like most Palestinians, I am not against genuine democratization in Palestine. However, let us be honest and have no illusion: Without ending the evil Israeli occupation, no amount of democratization would really help the Palestinians attain their freedoms. The absence of democracy in Palestine is due to the presence of the occupation. Twisting this fact would be an expression of dishonesty and mendacity. Does democracy practiced by inmates in a maximum-security jail bring freedom to prisoners? Yes, it might help them manage their daily life and routine inside the jail, but it won’t help them regain their freedom. Likewise, the Palestinian people are not merely striving to enhance their daily life, though this is a legitimate and important task, if only to help Palestinians withstand the systematic and institutionalized oppression meted out to them by Zio-Nazism. The Palestinian people want absolute and total freedom from the decades-old nefarious Israeli occupation. Besides, since when did the US really show any serious concern about democratization in occupied Palestine or elsewhere in the Arab-Muslim region? Didn’t the U.S. abruptly lose its composure and mental equanimity when Hamas won the Palestinian elections in 2006? Didn’t a U.S., under aggressive and frenzied Jewish pressure, acted rather spasmodically to strangle and throttle the Palestinians following the said elections which by the way the Bush administration itself had Okayed? Strong because it represents the true aspirations of most Palestinians for a better tomorrow; and stronger because an arrogant Israel driven by Talmudic insolence only understands the language of force, stubbornness and strength. More to the point, a soft, obsequious approach toward Israel won’t take the Palestinians anywhere. It will only transform them into vanquished supplicants begging for their legitimate rights from an arrogant and rapacious Israel that is hell bent on stealing the remainder of Palestinian land. The truth of the matter regarding the impact of the Arab Spring on Hamas is that it has not only vindicated the liberation movement’s approach toward Israeli occupation, but it has also created an auspicious atmosphere conducive to helping Hamas and the Palestinians as a whole expedite their goals. The growing good chemistry between Hamas and Cairo is undoubtedly an auspicious development. The upcoming elections in Egypt, slated to start on 28 November, is expected to produce pleasant surprises if the nationalist and Islamist forces achieve victory in the polls and form the next Egyptian government. Israel and her guardian-ally, the U.S., (the latter is getting weaker and bankrupt by the hour) know that hundreds of millions of Arabs and Muslims expect the next government in Cairo to find a real correlation between the Egyptian commitment to uphold the Israeli-Egyptian peace treaty and Israeli treatment of and behavior toward the Palestinian cause and people. I bet this is going to be a serious matter for Israel’s firsters and the Zionist shipyard dogs in Washington who think Israel’s interests come even before American interests. In any case, the Islamists are simply coming, and Israel will soon become bereft of friends in this region, no matter what desperate feats Israel is trying. And Israel has only itself to blame. The Israeli state, itself a crime against humanity (perhaps people like Hale would shake in fear while reading this shocking but veracious phrase) never really lost an opportunity to alienate Arabs and Muslims. The murderous Israeli modus operandi toward the Palestinians and other peoples in the region has generated a huge reservoir of hatred toward the Jewish state. The Arab masses, whether in Egypt or Tunisia or even Libya, will not waste anytime venting their frozen rage and accumulative frustration vis-à-vis Israel when they are given the chance to do so. The King of Jordan Abdullah II recently “warned” that Egypt might effectively abrogate its peace treaty with Israel and that Jordan was effectively becoming the last remaining advocate of peace with the Jewish state? The king knew what he was talking about. However, his warnings are unlikely to be heeded, given Israel’s characteristic insolence and America ‘s brazen subservience to the evil entity and its backers in Washington . 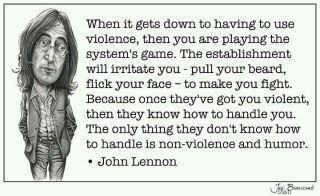 As to the whoring peace process, it is really difficult to talk about this process using dignified language. How else can one relate to a process that is based on lies, fraught with lies, and shaped by lies?Israel, which we earlier described as a crime against humanity because it is based on ethnic cleansing, genocide, and aggression, wants Palestinian Authority (PA) Chairman Mahmoud Abbas to become a full-fledged traitor.Israel wants him to kiss the paramount right of return for the refugees goodbye, wants him to forget East Jerusalem, and wants him to formally accept perpetual Israeli control over Palestinian borders, water resources as well as the settlements established by Israel on occupied Arab land since 1967.Needless to say, Abbas would rather commit suicide than agree to these irrational demands. He knows that any Palestinian leader agreeing to these capitulations will not live long to even regret his folly.Besides, how can Abbas possibly offer a “workable” alternative to Hamas’s seemingly more logical and appealing line, which is based on resistance and steadfastness? Will Israel, for the sake of Abbas’s legendary moderation, withdraw to the borders of the 4th of June, 1967? Will Israel terminate the building of colonies and Judaizing of Jerusalem? Will Israel allow for the repatriation of millions of refugees uprooted from their homes when the evil entity was established 63 years ago, which is a sine-qua-non for any genuine and durable peace deal in the region? Will Israel dismantle the settlements? The answer is a plain NO. Another question: Will the U.S. pressure Israel to end its decades-old occupation? The answer is also a plain NO because the Jewish lobby is in tight control of American politics and policies. Moreover, an American president, especially in an election year, won’t commit political suicide by displeasing the only state in the world that truly calls the shots in Washington. 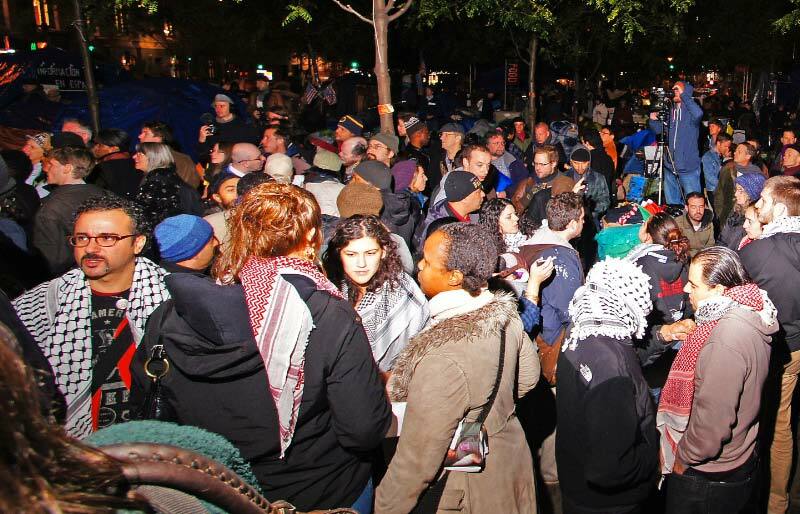 RAIN, SNOW, SLEET OR HAIL – OCCUPY WALL STREET WILL PREVAIL! The Web is chock full of information, and more so misinformation, about the latest challenge the protestors are facing … an early winter. What effect will the unexpected snowstorms have on the encampments throughout the Northeast and West? 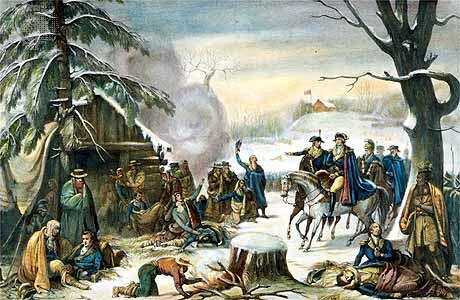 Snow didn’t stop America’s first Revolution…. why should it stop this one? Will winter weather stop Occupy Wall Street? 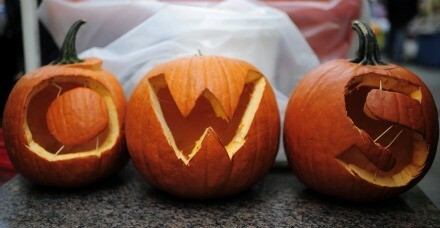 Mayor Bloomberg hopes the onset of winter will finally convince Occupy Wall Street to pack up the tents and tarps and go home. On October 10 he predicted the protests would dissipate with the first sign of frost. But now, as winter is setting in to the Northeast, he may find himself disappointed by the demonstrators stamina and resourcefulness. In New York, The Daily News reports it was “given a peek inside occupiers’ storage space at 52 Broadway and saw shelves lined with blankets, sub-zero sleeping bags, heavy coats, cough syrup and even an assortment of herbal teas.” And there are 200 to 400 packages with more supplies arriving daily. In Philadelphia, tents and heaters have been donated to the occupation. At Occupy Denver, they’re already dealing with snow and freezing cold, but police insist: No tents! They’re sleeping under tarps, and facing hypothermia. “We’re going to find a place where people can sleep at night, store their stuff. We’ll maintain a continuous presence in the park but you can’t ask people to put their lives in danger. It’s Occupy Wall Street, not Freeze to Death In Zuccotti Park,” [a person closely connected with the core de facto leadership of Occupy Wall Street] said. The early metaphors for this movement came out of the 1930s: the Hoovervilles and the Bonus Army Occupation. But perhaps a better metaphor might be Valley Forge. IS ISRAEL BEHIND THE ROCKET ATTACKS FROM GAZA? 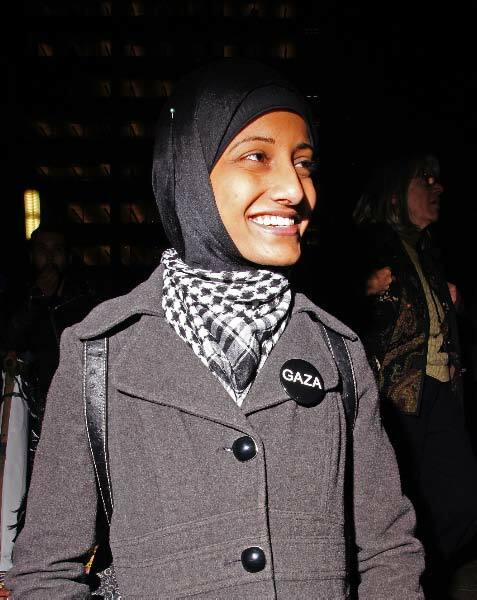 Israel got what it wanted from Hamas a week ago when Shalit was sent home…. So the circumstances also seem to say YES. The following video published at HaAretz shows Gaza ‘militants’ preparing to fire rockets at Israel…. The IDF watched, captured it on video and did not try to stop them? Isn’t that a bit strange? It really makes one wonder if this is nothing more than another Israeli false flag attempt to ‘con the world’. Israel has already lost its credibility with much of the world, hopefully they will see these recent incidents as part of the lies spread by zion to prevent the inevitable Freedom and Independence FOR ALL OF PALESTINE. 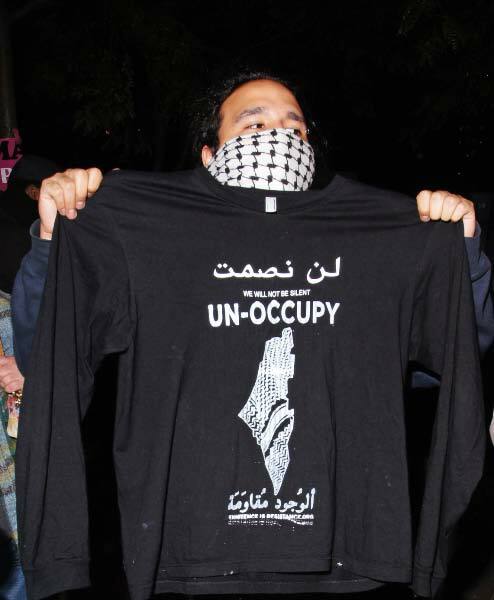 Occupy Oakland protesters got a whiff of the weekly Palestinian experience two nights ago when a crackdown complete with tear gas, rubber bullets and flash-bang grenades tore through their protest encampment. 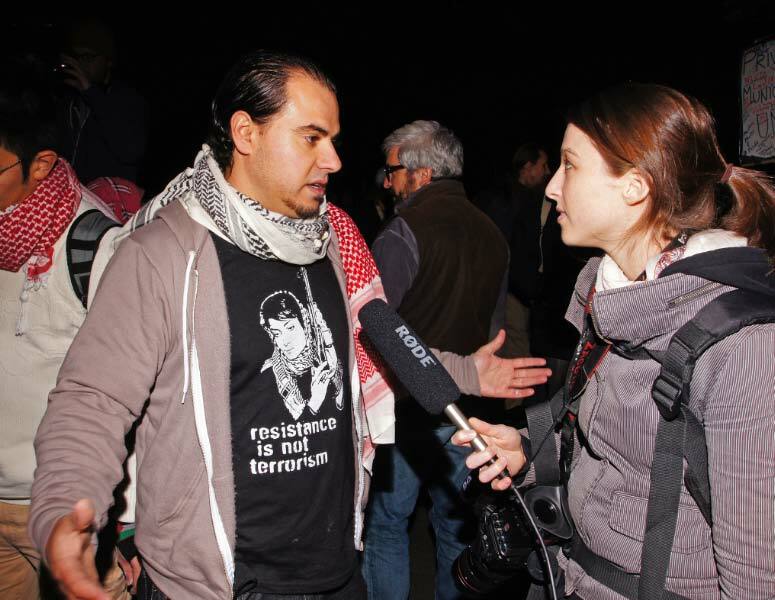 Occupy Oakland protesters got a whiff of the weekly Palestinian experience two nights ago when a crackdown complete with tear gas, rubber bullets and flash-bang grenades tore through their protest encampment. (See Adam Horowitz’s post here). 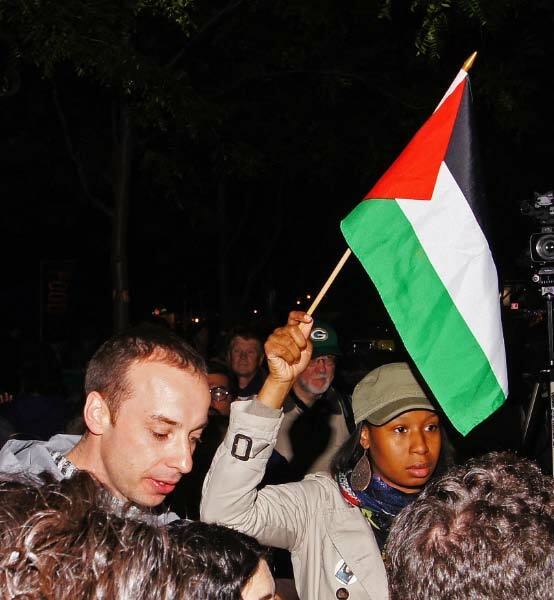 The injury of Iraq War veteran and activist Scott Olsen, who is in the hospital with a fractured skull, adds to the obvious similarities seen in protest crackdowns in the U.S. and Palestine. This is in addition to reports that the same arms firm supplies both the Oakland Police Department and the Israeli army with tear-gas. The scenes of blood streaming down Olsen’s face were eerily reminiscent of what happened to Tristan Anderson in 2009. An American activist from Oakland, Anderson was also struck in the head by a tear gas canister, although in his case it was fired by the Israeli army during a protest in the West Bank village of Nil’in. Anderson was in an Israeli hospital for over a year, and a sham IDF investigation declared the shooting “an act of war,” absolving their soldiers of responsibility. These two cases, side by side, matter, and not just because of coincidence but for what it tells us. The militarization of the police was clearly accelerated by a “war on terror” framework, and the Olsen/Anderson injuries are the real-life, tragic consequences that these policies have. Now, an American uprising is clashing with that security-first mentality. How many more Scott Olsens will we see? Repost the above video wherever possible on your Blogs and Websites to show the world the hypocracy of the present U.S. Administration. 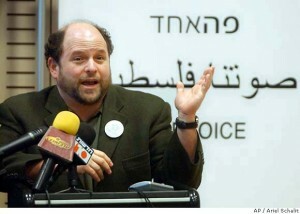 Renowned Seinfeld actor Jason Alexander arrived in Israel earlier this week, with the media questioning the sincerity of his efforts to bring “serenity now” to Israel and the conflict. But the OneVoice Delegation Tour – an eclectic group of business professionals and philanthropists from the U.S. and Europe – strives to be more than yet another celebrity tour for a trendy cause. 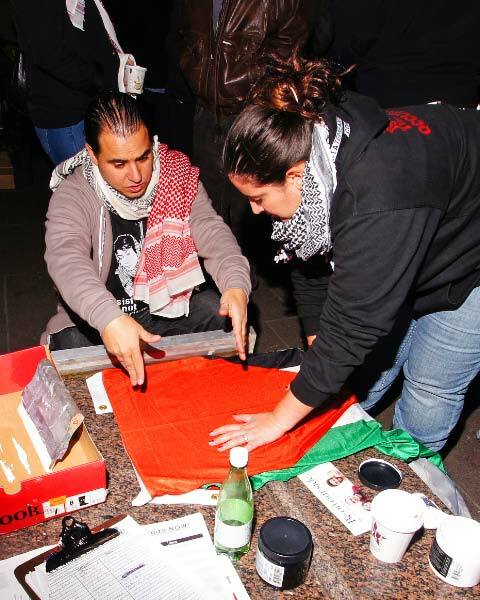 The pro Palestinian organisation ‘Existence is Resistance’ held a silk screening event at the Occupy Wall Street Encampment. 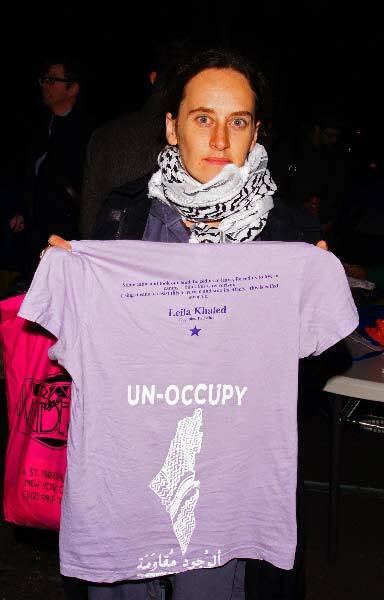 Anyone who brought their own T shirt or anything else that could be silk screened were able to get it imprinted with the words ‘Un-Occupy All Foreign Lands’. People engage in different ways, but they engage. They are pushed beyond their comfort zones. They begin to question, or, in the case of committed Zionists, they are at least reminded that they cannot get away with using culture to whitewash apartheid. “We certainly see ourselves as ambassadors of Israel in the world, cultural ambassadors, hasbara ambassadors, also in regards to the political conflict.” – Idan Raichel, 2008 (“An interview with Idan Raichel,” translated from Hebrew in online magazine To Australia). 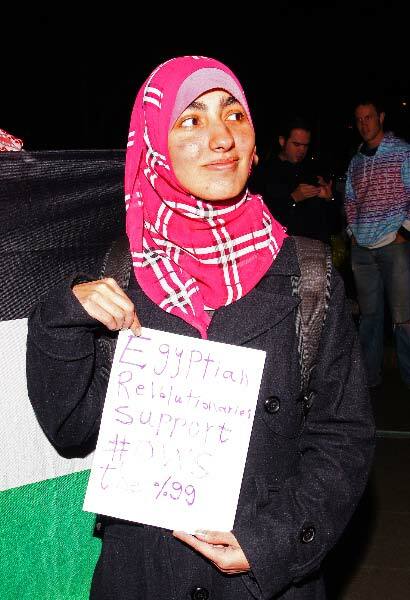 On Tuesday, 18 October, I and eight other Adalah-NY members stood in front of the Beacon Theatre in Manhattan, holding signs, singing songs, and handing flyers to passersby and concert-goers. The concert: Grammy Award-winning singer/songwriter India.Arie, and “Israel’s most popular dread-locked musician” (according to the Israeli Ministry of Foreign Affairs), Idan Raichel. While this claim is as laughable as it is offensive, the more prevalent objection to cultural boycott actions is the idea that culture and politics are somehow separate. But as long as the Israeli government uses art and culture to cover up Israeli war crimes, culture and politics are clearly intertwined. 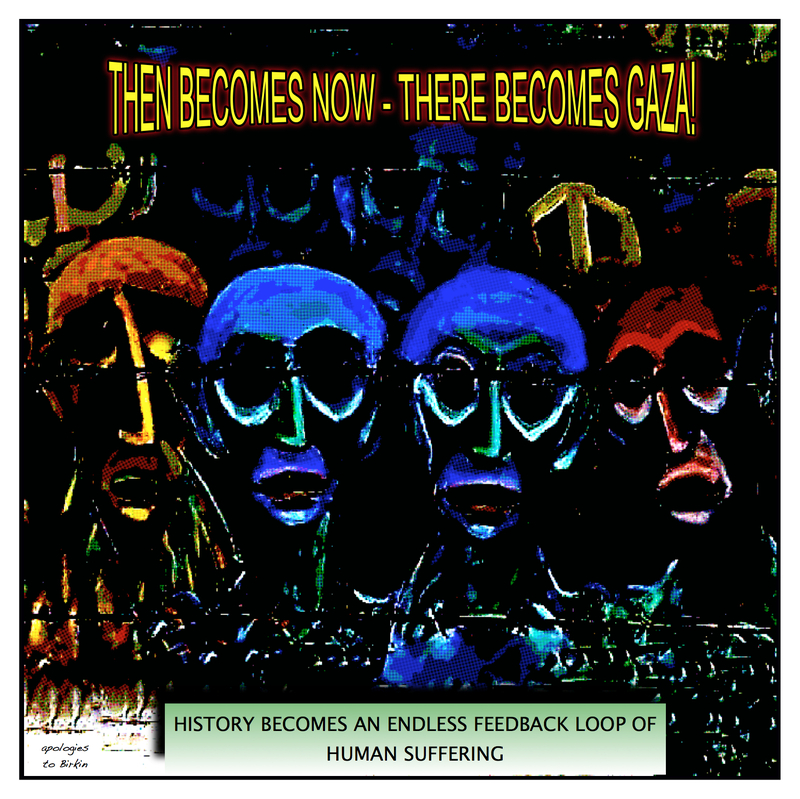 As is evident in Idan Raichel’s quotation above, the musician is willingly part of the Brand Israel campaign, which aims to bring arts to the world in order to, in the words of an Israeli foreign ministry official, “show Israel’s prettier face, so we are not thought of purely in the context of war” (“After Gaza, Israel grapples with crisis of isolation,” The New York Times, 18 March 2009). 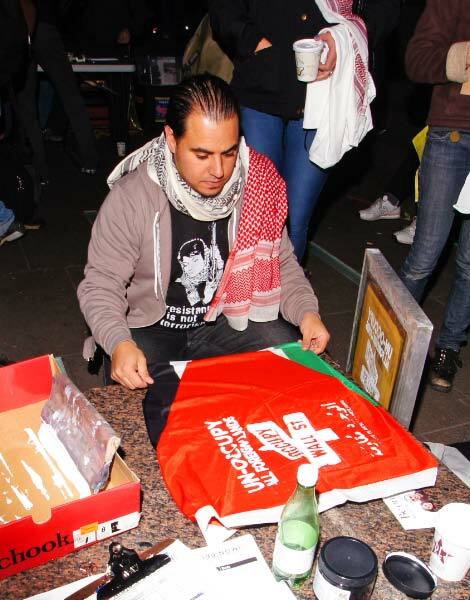 Adalah-NY stated in a recent press release that beyond Raichel’s collusion with the Israeli government’s cynical use of art, he has served in and performed for the Israeli army and actively expressed support for the Israel military during its brutal attacks on Gaza in the winter of 2008-09 and criticized Israelis who refused to serve in the army. Raichel’s performance in 2007 in the Israeli settlement Nokdim led to a call for boycott by the Israeli organization Gush Shalom for collaborating with settlements that prevent any possibility of peace (“New Yorkers protest India.Arie concert with Israeli superstar Idan Raichel,” 18 October 2011). 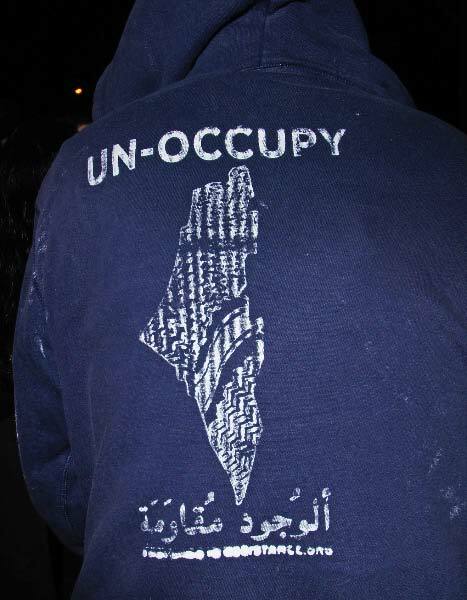 In 2004, the Palestinian Campaign for the Academic and Cultural Boycott of Israel (PACBI) called on global civil society to boycott Israeli cultural institutions, products, and events that normalize Israel’s multi-layered system of oppression against Palestinian people. Many international artists have heeded the call and have refused to perform in Israel, including Elvis Costello, Gil Scott-Heron, Devendra Banhart and The Pixies. 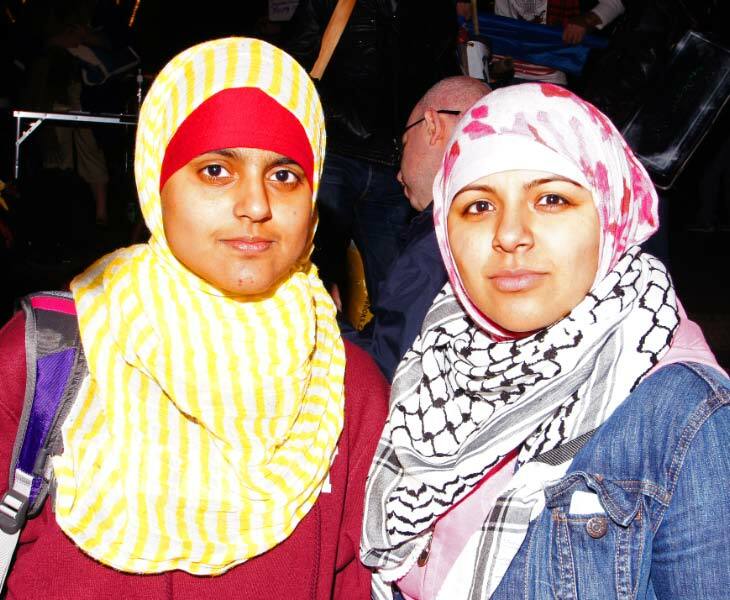 Cultural boycott actions can be fairly simple, and provide an opportunity for people to work together nationally. Our friends in Seattle alerted us and their friends in Olympia to Raichel’s tour and sent us the flyer they would be using on the tour’s opening night. We revised the flyer for a New York audience and sent it to our friends in Burlington and Boston. With minimal effort, we had coordinated a five-city protest action. The moral case for cultural boycott should be clear, yet there are still some who question it on tactical grounds. Why focus on cultural boycott, they ask, when it is arguably the hardest case to make to a non-politically minded public? Over and over again, I have found cultural boycott actions to yield some of the richest dialogue I have seen about Palestine. People who attend cultural events, particularly peace-loving liberal-seeming concerts such as India.Arie and Idan Raichel, are often quite receptive to arguments about social justice. They do not want to be accused of supporting racism, and they do not want to cross a picket line. On 18 October, some people merely read our signs and moved on. Some questioned the connection between Raichel and the government. Some thanked us for being there. Some sneered and tore our flyers in half. One person took extra flyers to pass out inside. One debated whether to give up her $200 ticket, and then decided instead to yell “Free Palestine” during the show. Perhaps the most important gain of the cultural boycott in the United States so far has been the way in which it has shifted the discourse about Palestine. One of our first cultural boycott actions in New York was a small protest of the Batsheva Dance Company, who we discovered with very little notice was to perform at the Brooklyn Academy of Music in March 2009. The show happened to coincide with Israeli Apartheid Week, the annual week of actions around the world to bring attention to Israeli apartheid policy and to support the growing boycott, divestment and sanctions (BDS) movement, so we brought people together to sing, chant and distribute flyers. Our press release garnered media attention, and a number of articles were written which questioned the tactic of cultural boycott. In so doing, however, these articles took for granted the idea that Israel can be called an apartheid state that should be protested against, and even at times boycotted. It was simply the cultural boycott that was being questioned. We had successfully shifted the discourse and opened an important conversation within the mainstream media. Israel is desperate to salvage its global image and promote itself as a liberal democracy, but it is not working. 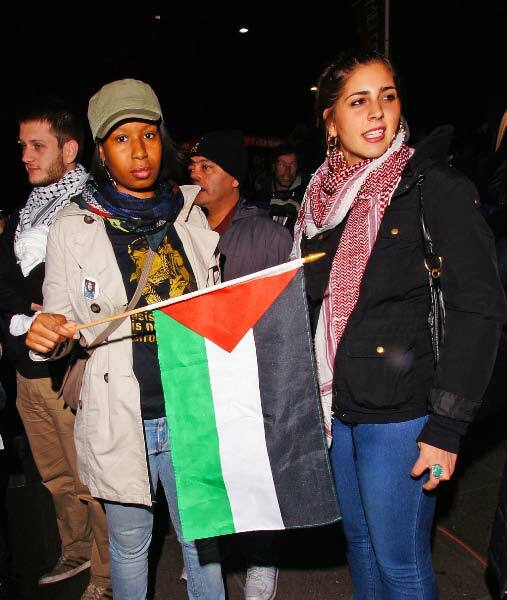 As Idan Raichel and India.Arie continue their “Open Door” tour, people with conscience the world over are heeding the Palestinian civil society call for BDS. Cultural boycott actions highlight cultural workers’ complicity in Israel’s violations of international law and human rights, thereby opening the door to justice a little wider each day. 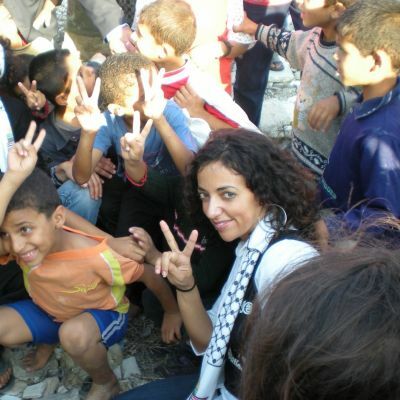 *Hannah Mermelstein is a Palestine solidarity activist working with Adalah-NY and a school librarian based in Brooklyn, NY. The corporations and banks, apparently, don’t like the rabble hearing the truth. Especially if it’s about them or the the diplomats they own. WikiLeaks is going to stop publishing secrets and may go dark all together with no funds to continue operations due to the blockade. WikiLeaks will have to stop publishing secret cables and devote itself to fund-raising if it is unable to end a financial “blockade” by U.S. firms such as Visa and MasterCard by the end of the year, founder Julian Assange said on Monday. Visa and MasterCard stopped processing donations for WikiLeaks in December 2010 after the United States criticized the organization’s release of thousands of sensitive U.S. diplomatic cables from its embassies all over the world. “If WikiLeaks does not find a way to remove this blockade, given our current levels of expenditure, we will simply not be able to continue by the turn of the year,” Assange told a news conference. 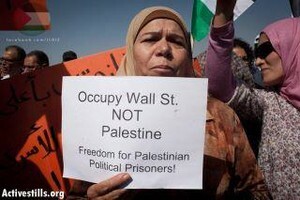 Occupy Wall Street, Not Palestine! 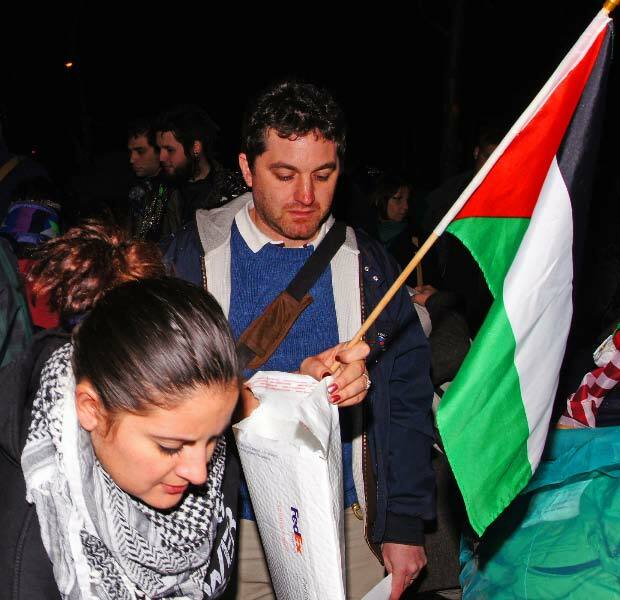 Join members of Adalah-NY for a message of solidarity from the Palestinian Boycott, Divestment, and Sanctions National Committee followed by a Q & A session about the growing movement for boycott, divestment, and sanctions (BDS) against Israel until it complies with international law. At the unrestrained attack on the Oakland encampment a 24 yr. old Iraq vet (2 tours) was hit in the head by a police fired projectile. He’s in a coma – swollen brain. Thousands in Oakland have re-taken the camp site which is right across from their City Hall. Late last night when they heard what happened the NY occupiers held a big late night march around the financial district. Reporters on TV were very histrionic showing it. It was a big group but outside of chanting they were just walking – no threat to anyone or anything. …. a lesson taught by zion. I was not surprised when I learned that the same company that supplies the Israeli army with teargas rounds and other weapons of mass suppression is selling its dangerous wares to the Oakland police. The police repression on display in Oakland reminded me of tactics I witnessed the Israeli army employ against Palestinian popular struggle demonstrations in occupied West Bank villages like Nabi Saleh, Ni’lin and Bilin. So I was not surprised when I learned that the same company that supplies the Israeli army with teargas rounds and other weapons of mass suppression is selling its dangerous wares to the Oakland police. The company is Defense Technology, a Casper, Wyoming based arms firm that claims to “specialize in less lethal technology” and other “crowd management products.” Defense Tech sells everything from rubber-coated teargas rounds that bounce in order to maximize gas dispersal to 40 millimeter “direct impact” sponge rounds to “specialty impact” 12 gauge rubber bullets. 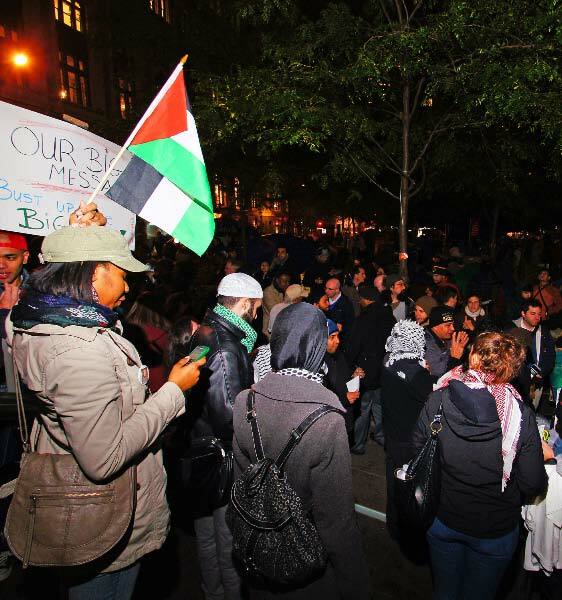 Some Occupy Wall Street activists have argued that Palestine must remain segregated from the movement’s agenda. It is a distraction from the essential economic issues that drive the protests, they say, and turns the majority of Americans off. But the issue is becoming increasingly difficult to avoid now that the protesters are confronted with the very same weapons Israel uses to crush unarmed Palestinian resistance. Despite every effort and the passing of illegal legislation to put a stop to the Israeli Boycott, it is alive and well and GROWING! 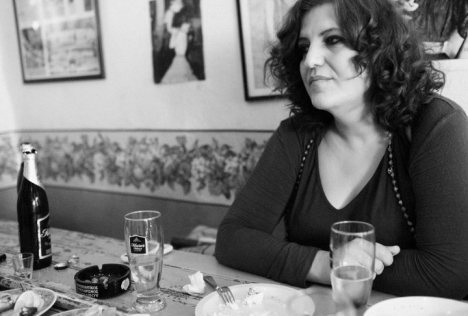 After the calls from Israeli citizens and the Greek Association for Solidarity with the Palestinian People – INTIFADA, but also after messages of individuals from her audience, Greek singer Martha Frintzila with a short message at Facebook, announced that she will not participate in Jerusalem Oud Festival for conscientious and political reasons. Martha Frintzila will not participate in Oud Festival in Jerusalem for conscientious and political reasons. In July this year, Anders Breivik, a right-wing activist, murdered more than 65 Norwegians in an act of political violence. His manifesto, all 1500 pages of it, provides an insight into the dark but increasingly mainstream views of the West since 9/11. Being against immigration, Muslims and multiculturalism and being for Israel, racism and white pride isn’t simply a fringe belief in 2011. And many in the mainstream political and media elites have fuelled this resentment and bigotry. This month sees the launch of a new book, On Utøya: Anders Breivik, right terror, racism and Europe, that tackles all these questions. It is a collection of essays by a range of British and Australian writers, including me (book extracts here and here), on the attempts to depoliticise what was a direct political event. It should serve as a warning of where our politics is heading. On Utoya is the necessary Left response to it. It is available as an e-book with a hard copy (and updates) hopefully coming in 2012. – Review in Sydney Morning Herald on a former UN insider detailing war crimes in Sri Lanka. – Analysis for ABC online about the Palestinian UN statehood bid. – Review in Sydney’s Sun Herald on a book about child trafficking in Asia. – Response to article in the Spectator magazine attacking me for supporting Palestinian rights and BDS [boycott, divestment and sanctions] against Israel. 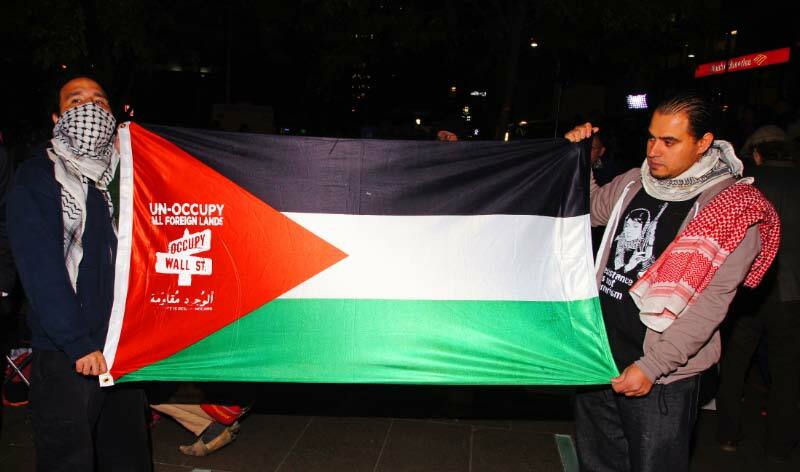 – Interview on ABC radio about Palestine, the UN statehood bid and a one-state solution. – Interview on ABC Radio National about BDS and growing alliances between the far-right and Zionism. 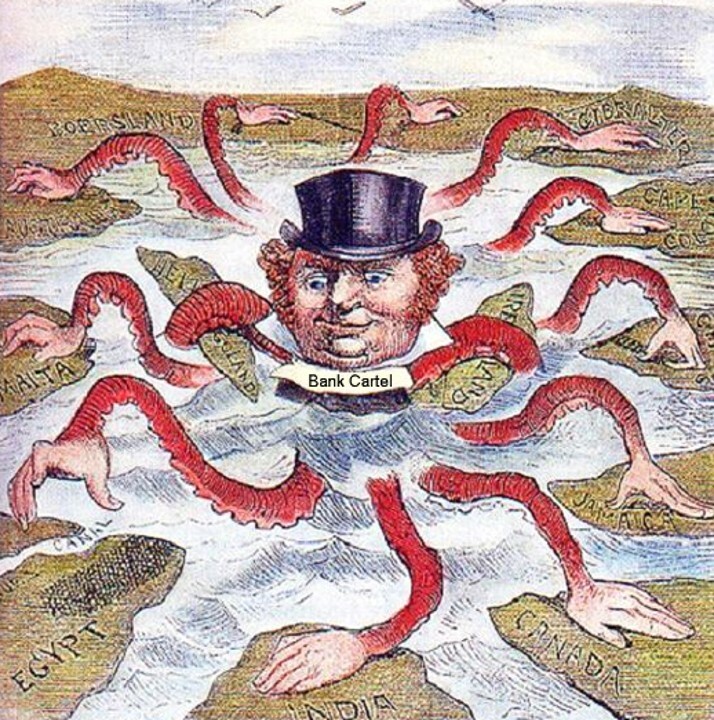 – Essay on ABC about using the Commonwealth to hold Sri Lanka to account for war crimes. – Review in Sydney’s Sun Herald on a book about the explosive false CIA mole in Afghanistan. – Interview on The Wire radio current affairs show about the release of Israeli soldier Gilad Shalit and Israeli kidnapping of Palestinians. For a daily dose, see my website, Twitter and Facebook. Jack London didn’t just write tales of the Klondike Gold Rush and canine adventure stories. Sometimes he foretold the future. Jack London didn’t just write tales of the Klondike Gold Rush and canine adventure stories. Sometimes he foretold the future. The above quote, written over a century ago and spoken by an aristocratic one-percenter in response to the rising tide of anti-plutocratic sentiment among the working class, is taken from London’s dystopic novel, The Iron Heel. London foresees: the creation of attractive suburbs for the relatively privileged strata of the working class while the central cities are turned into what he calls “ghettoes” for the masses of unemployed and menial laborers, shoved into the darkest depths of human misery; the deliberate economic subversion of public education in order to spread illiteracy and ignorance; adequate food, health care, and housing priced above the reach of more and more people; the ubiquitous secret police infiltrating all organizations opposing the government; the establishment of a permanent mercenary army; the government conspiring in real and phony bomb plots, in the suppression of books and the destruction of printing presses, in witch hunts aimed at dissident labor leaders, professors, and authors, in destroying the reputations of some of its opponents, imprisoning many others and murdering the few it finds too formidable; spontaneous mass rebellions of the downtrodden people of the central cities; urban guerrillas battling the government’s army of mercenaries and police in the canyons of the cities. Clearly, from historic income inequality and over 15% of Americans living in poverty (that’s 46.2 million people) to massive budget cuts for public education to FBI infiltration of peace groups to the ever-expanding surveillance state to the stifling of free speech to spooky terrorist plots allegedly thwarted by the very agencies that planned and funded them in the first place, Jack London was on to something. To say the least. The Occupy Wall Street movement around the globe is a testament to our new reality, as presaged by one of our renowned writers. The Iron Heel is set primarily in California’s Bay Area, London’s home turf. 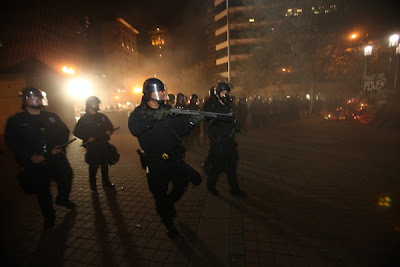 Yesterday morning, Tuesday October 25, 2012, the non-violent, anti-corporatist protesters occupying two parks in Oakland met their own city’s iron heel, jackboots in full riot-gear. In response, thousands of protesters gathered later that same day and faced down a phalanx of Oakland’s Finest Fascist, who responded by repeatedly attacking the crowd with more tear gas, batons, rubber bullets, beanbags, concussion grenades, flashbombs, and sound cannons. At one point, Oakland authorities, claiming the protest was “an unlawful assembly,” issued this threat: “If you refuse to move now, you will be arrested. If you refuse to move now, chemical agents will be used” (see here) and later warned those peacefully standing their ground, “If you have respiratory problems now is the time to leave.” They weren’t kidding. Will the president remember what he said at the same podium a year later? “The arc of human progress has been shaped by individuals with the freedom to assemble and by organizations outside of government that insisted upon democratic change and by free media that held the powerful accountable,” he declared. *Nima Shirazi is a political commentator from New York City. Municipal workers in Brooklyn have taken down signs directed at Hasidic women — not because they’re religious in content, but because of where they’re posted. The signs were affixed to trees in the area, which is illegal, the city’s Parks Department says. In addition to coverage in the New York Daily News, the signs’ removal has garnered attention on local blogs and television news. Hasidic residents of the neighborhood have defended the signs, with one resident claiming the community’s first-amendment rights had been violated. “It’s taking away freedom of speech,” 70-year-old Faye Grwnfeld told the Daily News. City officials don’t know who posted the signs, but locals speculate that a “hard-line rabbinical group” may be behind them. 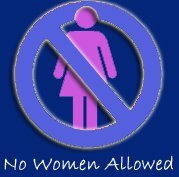 No signs were posted asking “precious Jewish men” to step aside when they see a woman. 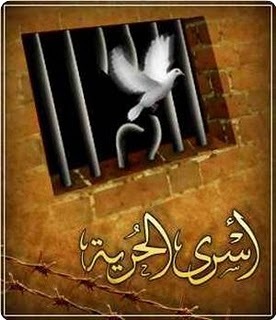 In support of Palestinian political prisoners, most significantly Majd Ziada, EIR (Existence is Resistance) will be hosting a Kuffeya Day at Liberty Plaza to spread awareness and gather petition signatures which will later be delivered to Israeli authorities which are scheduled to release an additional number of prisoners within 2 months. Even if you cannot physically attend this event, please help us by circulating the petition and inviting your friends. Thank you. C’mon guys, Times A Wastin … Every wasted day means more lives lost and more land stolen … 64 years is enough wasted time! Enough of this BS! !